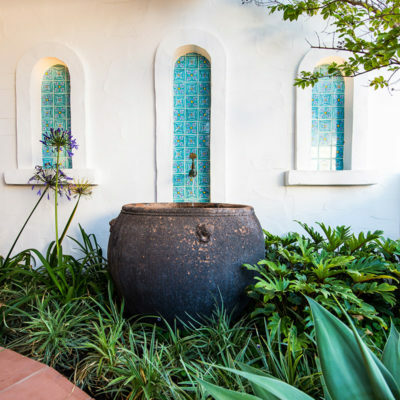 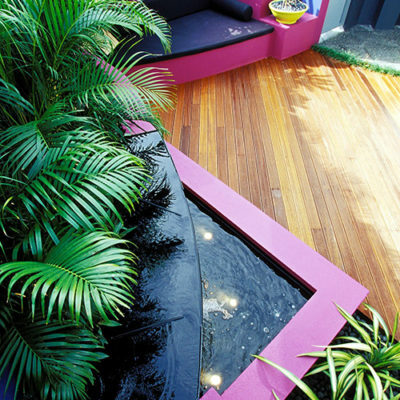 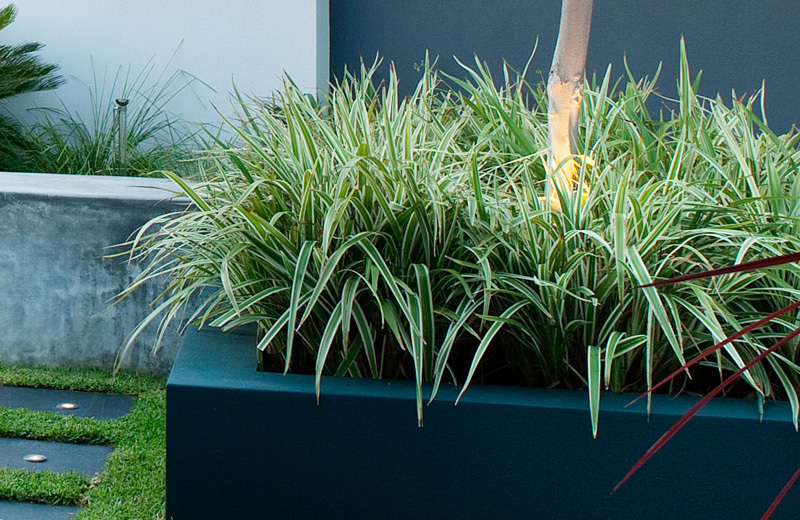 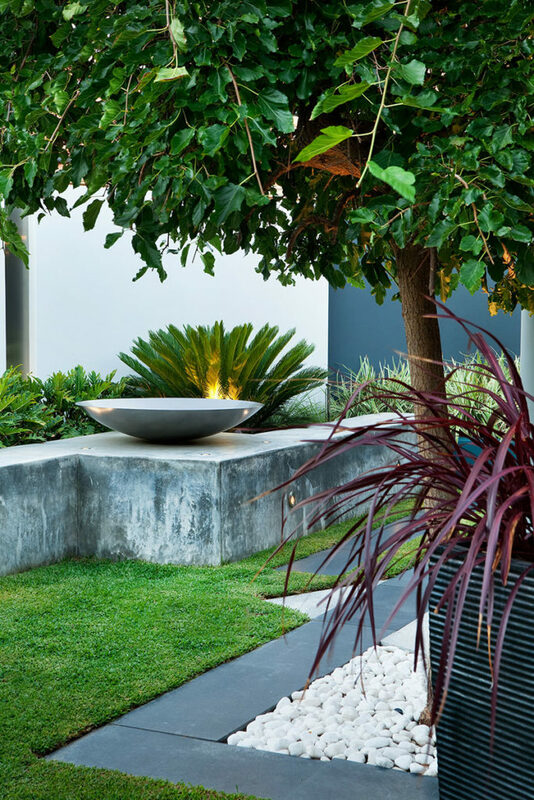 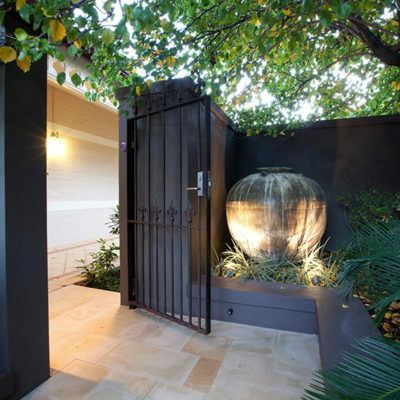 The design brief for this long rectangular courtyard was to create a cool contemporary garden to complement the style of the home. 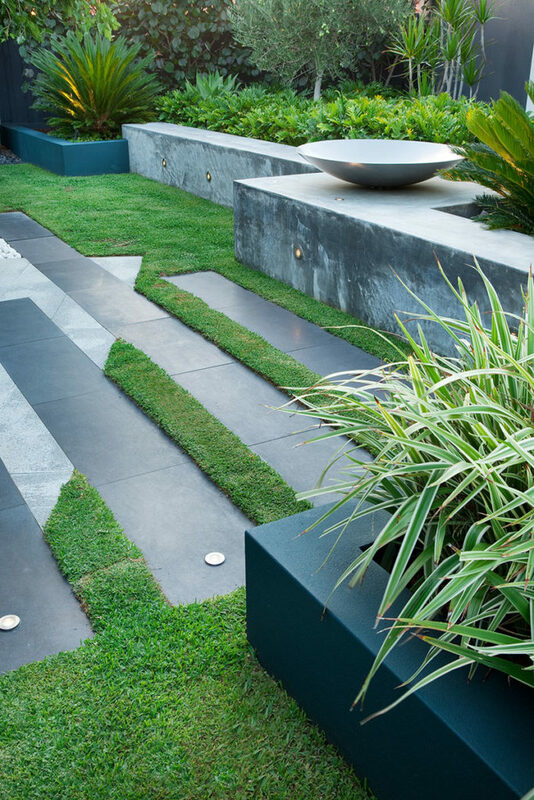 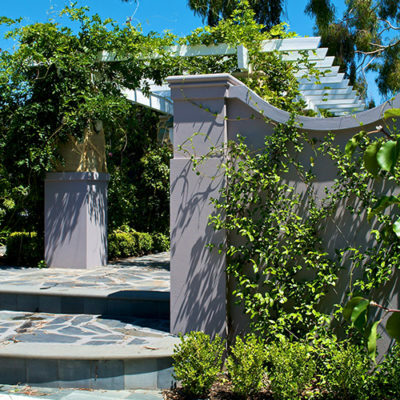 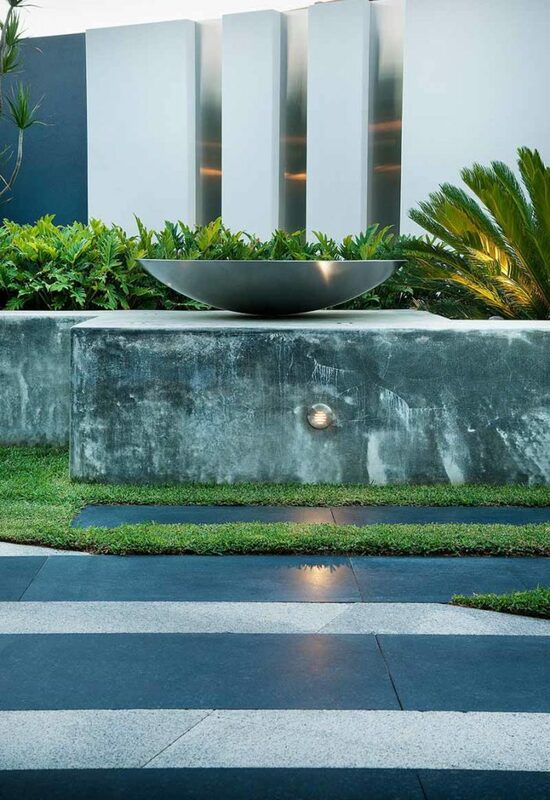 The structured yet abundant planting softens stainless steel, concrete, and overlaying geometrically angled granite. 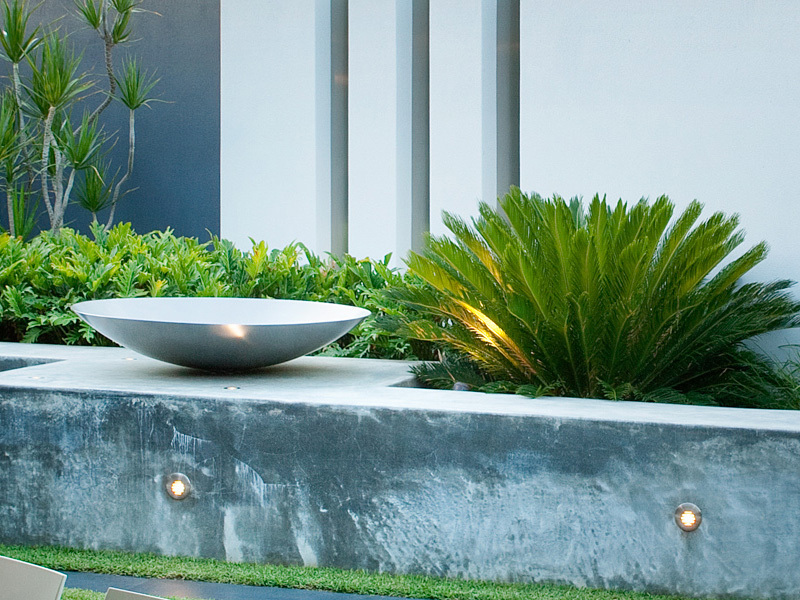 The garden also incorporates LED feature lighting to illuminate the recessed stainless steel panels and the bespoke stainless steel bowl.